I first visited Epcot (or EPCOT Center as it was then called) in January 1983, just a few months after it opened. The park was already magnificent. Its potential seemed unlimited—with room for several future pavilions in Future World and perhaps eight or ten additional countries in World Showcase (there’s still room). I’ve been back to Epcot many times during the 32 years since my first visit. I still like the park. 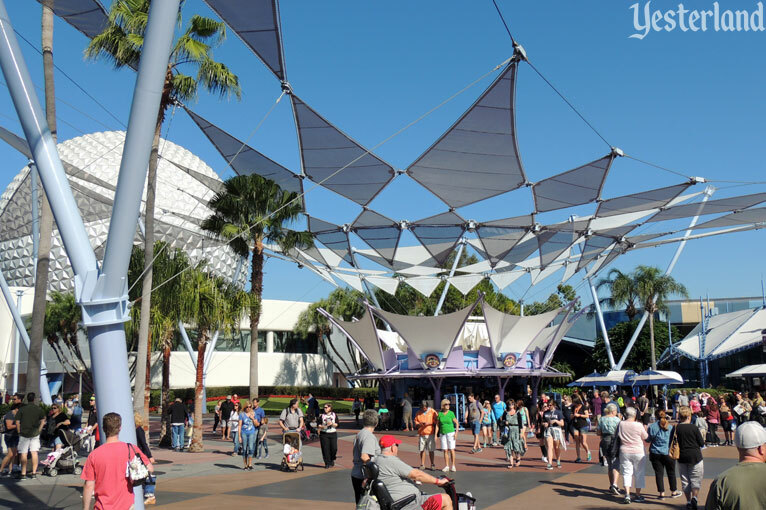 Epcot has seen some additions and changes—but these have not always been improvements. Today, I have part one of a three-part wish list, with my first four wishes. I’m not asking for a billion dollar revamp of Epcot. These are relatively modest wishes. Future World was meant to inspire. The magnificent sphere of Spaceship Earth set the stage for the grandeur that carried through to all of Future World. 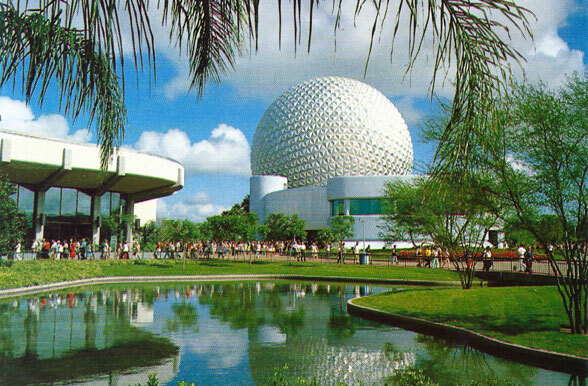 In the center of Future World, the CommuniCore buildings were sweeping crescents around an open courtyard with broad walkways, reflecting pools, lawns, and trees. Future World opened in the 1980s, but was designed in the 1970s by Imagineers whose clean, modern design aesthetic was rooted in the 1960s. But the big changes came in 1999, in preparation for the Millennium Celebration. Apparently, Disney executives decided Spaceship Earth would look better accompanied by an immense Sorcerer Mickey hand, wand, and gaudy “2000”—and that Innoventions Plaza needed a jumble of busy embellishments. The wand tower disappeared in 2007 for Epcot’s 25th anniversary, but the courtyard never regained its original splendor. Wish 1. Retire the Future World embellishments from 1999. The remaining embellishments from 1999 include metal poles at various angles, with a network of cables suspending fabric “shade” panels. The structure doesn’t actually provide shade. The colors are from the 1990s. The panels draw attention to something in their center—a kiosk with a tip board on one side and a pin shop on the other. Magic Kingdom Park has the Partners statue in its hub. Epcot has a pin shop. 1999 was a long time ago. The clean Mid-Century Modern style, as exemplified by the original design, has surged in popularity. It wouldn’t be necessary to restore the courtyard to exactly how it was when EPCOT Center opened. But it would be great to see the return of that style and spirit. Wish 2. Undo the Innoventions Plaza paint scheme. The CommuniCore/Innoventions buildings have seen a number of paint scheme changes over the years. Cooler tones. Warmer tones. Different accents. In March 2014, a truly odd color scheme appeared. It doesn’t go with the architecture. It doesn’t read as a vision of the future. It doesn’t create an inviting space. It’s just… odd. 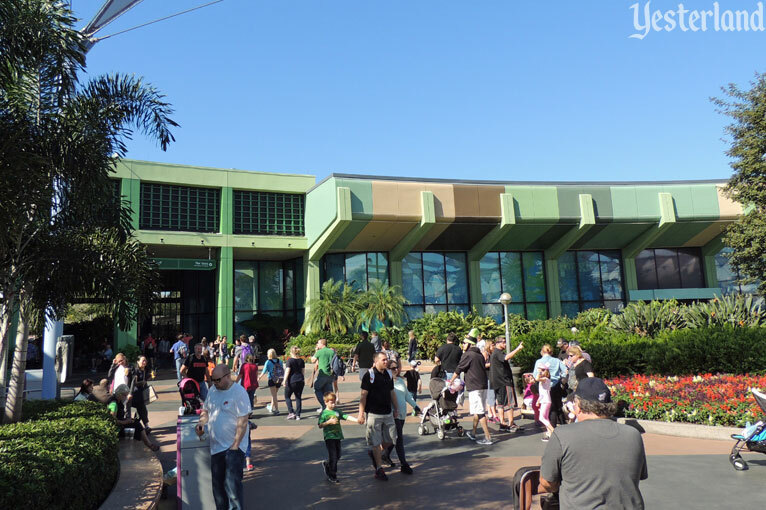 It might be the worst Disney color palette decision since Disneyland’s Space Mountain was given a brownish, greenish, copperish paint job in 1998. That mistake was fixed in 2003. Let’s hope we don’t have to wait that long at Epcot. Wish 3. Replace the “strip mall” signs. Signs are an opportunity for great design. Consider how Apple Stores integrate the Apple logo into each store façade. 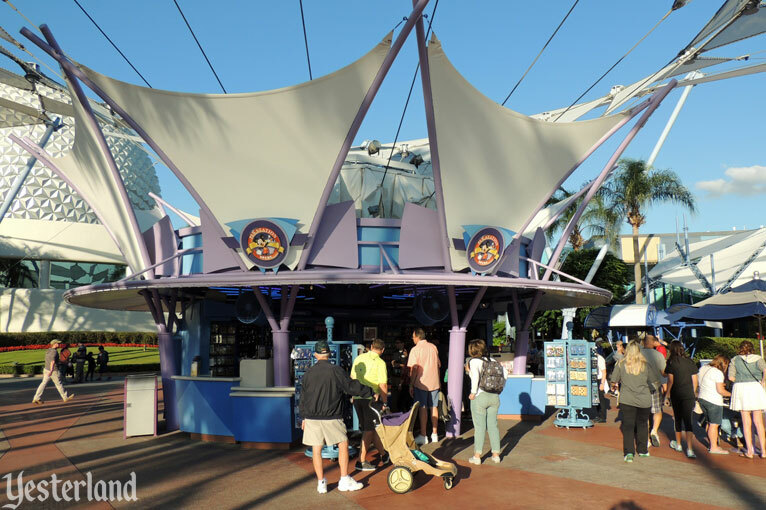 Any signs facing Innoventions Plaza should enhance the surroundings through bold graphic design, unexpected materials, and skillful integration with the architecture and with each other. Unfortunately, that can’t be said for the current signs. Surely, if given a budget to improve the signs, WDI has the talent—or can hire the talent—to replace the signs with ones that belong in Future World. Wish 4. Put something good in Innoventions West. 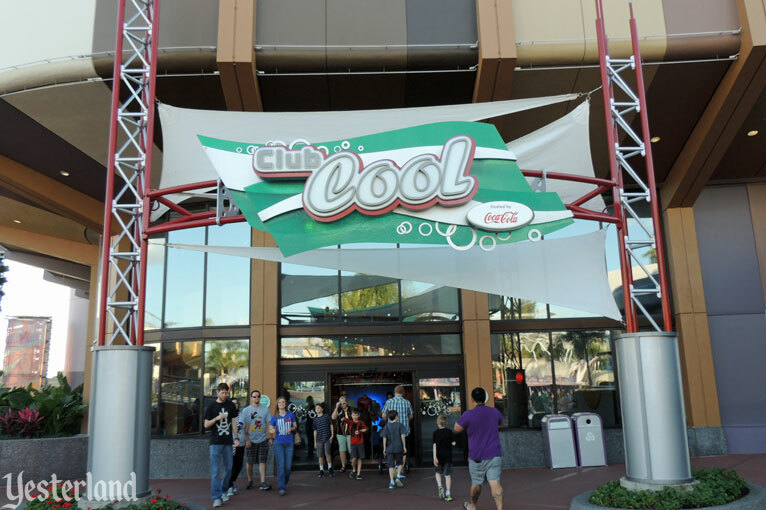 When Innoventions opened in 1994, using parts of the East and West buildings, it was supposed to be an exciting showcase where innovative companies would dazzle guests with new inventions and prototypes of upcoming products—presented with Disney showmanship. 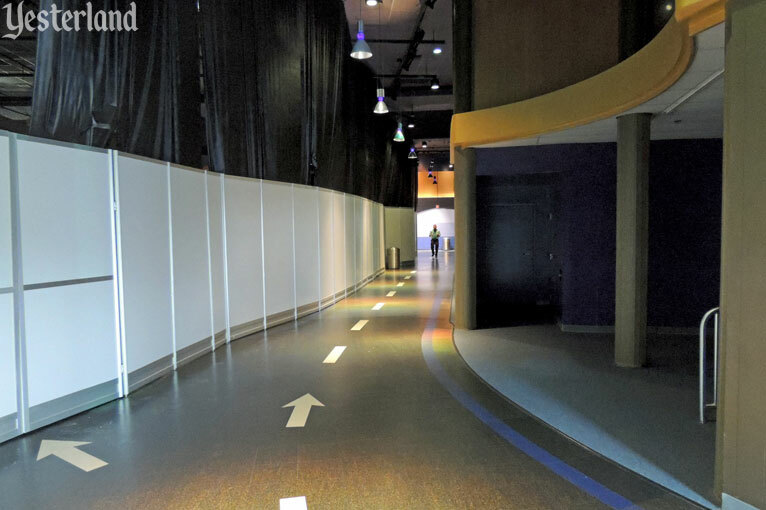 Unlike the big Future World pavilions, Innoventions would be in a constant state of change. It turned out to be less exciting than that. Sponsoring companies would sign up for a few years. Displays would typically remain stagnant during that period. Some exhibits were better than others. Companies often did not renew, so there would be gaping holes until Disney could convince another sponsor to move in. 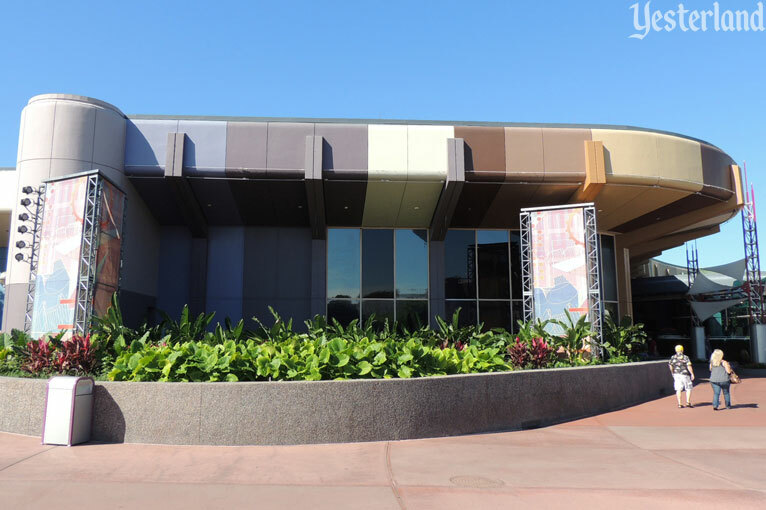 As of the end of January 2016, Innoventions West has no exhibitors left—except that Chase has a character meet-and-greet for its Visa customers and Disney has a character meet-and-greet with BayMax from Big Hero 6. 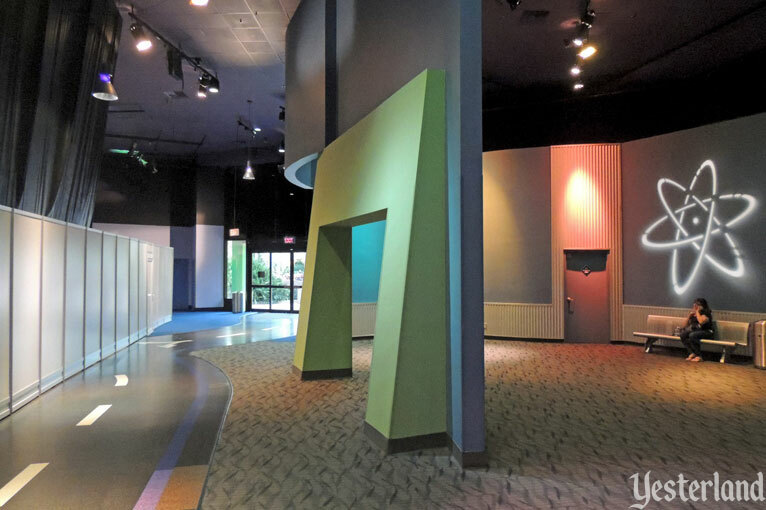 At Innoventions East, only Colortopia (new in 2015), Storm Struck, and The Sum of all Thrills remain. Guests paying $97 (plus sales tax) for a one-day Epcot admission should not find a “dead mall” at the heart of Future World. 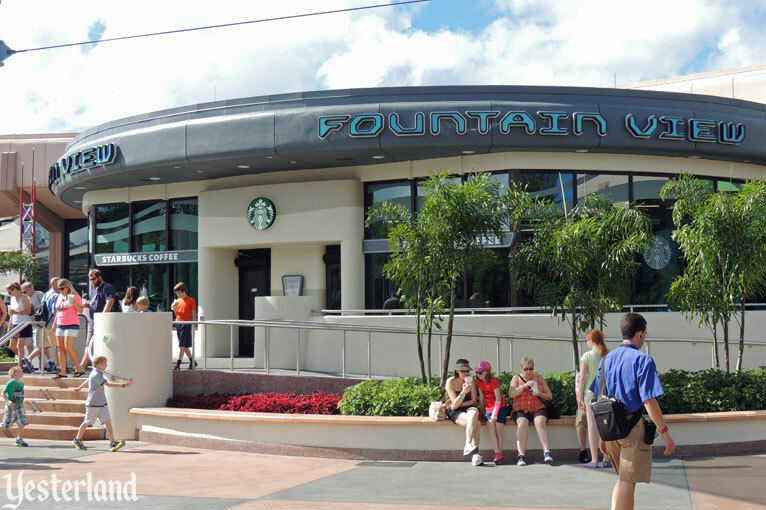 Presumably, if Disney suddenly finds new sponsors, Innoventions could bounce back. But maybe it’s time for Disney to look to its own operating units to sponsor attractions. After all, Disney developed some pretty good exhibits for D23 Expo in 2015. It would be a big improvement over the sad state of Innoventions now. Ideally, however, Disney would use this considerable indoor real estate for a couple of grand attractions that reflect the original mission of Future World—with or without sponsors. Please continue to Epcot Wish List - Part 2: Future World.